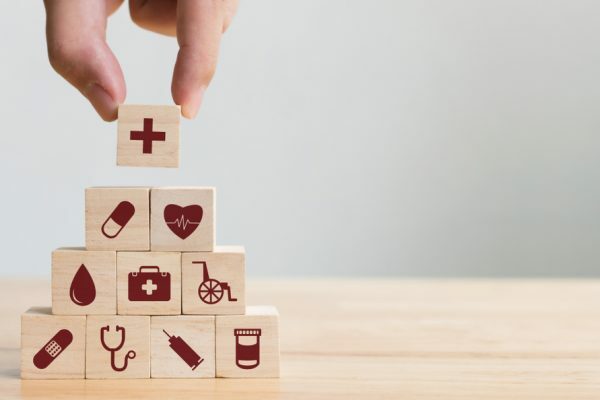 Many countries pay a lot of attention to the health sector, particularly in Singapore where health insurance is a top priority for most workers. Singapore takes into account the true meaning of a “healthy nation is a productive nation.” As much as people understand the significance of health insurance, most do not know which types of insurance are best for them. It is pretty easy to get confused about what to buy as there are quite a number of plans. When you begin working, health insurance is the first coverage that comes to your mind. Unexpected illnesses can knock in anytime even if not on you but on one member of your family and may rob you a significant amount of money in a very short time. The biggest turn down is reducing one’s inability to work efficiently. When you’re sick, you’re either partially productive or completely unproductive, and it may take long before recovering all the capital used during treatment once you’ve started recuperating or healed. A good type of health insurance that can save you an incredible amount of money is the Critical illness plan—that offers a large sum payout in case you’re diagnosed with a very sensitive or critical illness that is covered under the plan. Such critical illnesses include major strokes, cancers, heart attacks, diabetes, and many others. The amount required during the recovery period. If you have been diagnosed with a critical illness, it is apparent that you may not be in a position to work. You will need to make a rough estimation of how long you might take to recover—five years is a safe duration. During this time, you will still need to settle your other bills and your living expenses. These may also include loans that need servicing or others like a home mortgage. Some people rely on their savings during this recovery phase to tide them. However, most of our savings always have a crucial role and, in most cases, a designated purpose other than covering household expenses. Therefore, risking to wipe it off may not be an ideal move unless it’s the last option left. Almost all insurance policies come with premiums which most of us assume are for the wealthy. However, in critical illness plans, every patient is vulnerable and deserve equal treatment, but not everyone is capable of paying the amount premium plans command. As a wise patient, you will need to first balance between your insurance expenses like children’s education and retirement funds. You never know what could happen in the future. While it may not be worth stashing too much capital on your premium critical illness plan, you may want to give your health the best. There are a few things you can reduce on your premium plan but still get the right protection. One way is paying your premiums yearly. This is way cheaper than monthly payment plans. You can also make healthier decisions concerning your lifestyle like alcohol taking and cigarettes smoking and choose healthy ways like eating a balanced diet, exercising, and resting enough. Most illnesses demand these three types of lifestyle changes. They will not only reduce your expenditure but will also make you healthier and initiate quick recovery. Another way is by doing some research and finding out what your premium plan covers. You can do away with packages that give offers that you may not need or that you can take care of. Like a hospital offering to provide you a physician to help you exercise. A family member can help you with this or online tutorials that provide the same. There are various type of policies in Singapore. It is up to you to decide which method works best for you based on your ailment, your budget, and the level of sickness. It is essential to note that standard traditional plans do not cover the early stages of the illness unless you have a premium plan. Your ailment should determine the plan you select. If its total bedrest, you may want a more advanced plan. Think of illness plans that you can claim from multiple times. There is always a chance that the condition may recur in the event of full coverage probably not on the same individual but another member of the family who may benefit from the same coverage. Think of coverages that provide 2 in 1 or 3 in 1 types of plans. Most critical illness patients require a lot of support from loved ones and the hospital workers at large. However, not everyone gets this personal care from the hospitals which brings out the reason why some hospitals include it in their health insurance plans. These plans also offer special facilities to facilitate recovery. When in a hospital or no longer working, your children are still reliant on you. You may want to pocket some money or apply other investment plans that will take care of your dependents when you’re away. This shouldn’t be mixed up with life insurance. Remember that life insurance only benefits the dependents in case you pass away—not when you are hospitalized or are unable to work due to health conditions. Making a rough estimation of the time, you will spend not working, and the amount of financial support your family may need can go a long way in ensuring that everything runs smoothly in the home.